As a young expatriate bride living in Kenya, East Africa, I once made a heroic attempt at cooking my favorite Dutch comfort food, erwtensoep, split pea soup. The experiment ended in disaster, as I chronicled in last week’s post, WAR AND PEAS IN KENYA, which I trust you have all read carefully, tissues at the ready. Dutch split pea soup is hearty winter fare and as it turns out, it is seriously winter on the East Coast of the USA, where I’ve been domiciling for a while. The gods of winter are drunk and partying: They’ve been dumping massive amounts of snow on us for days, bringing Washington DC and environs practically to a standstill for a week. This photo does not begin to show the extent of it, but I rather like the picture. So, after days of shoveling and shoveling and more shoveling, after hours of watching the snowy landscape outside my window, my Dutch genes are kicking in and I have the urge to cook us some erwtensoep. And while I am at it I might as well share with you how it is REALLY done. 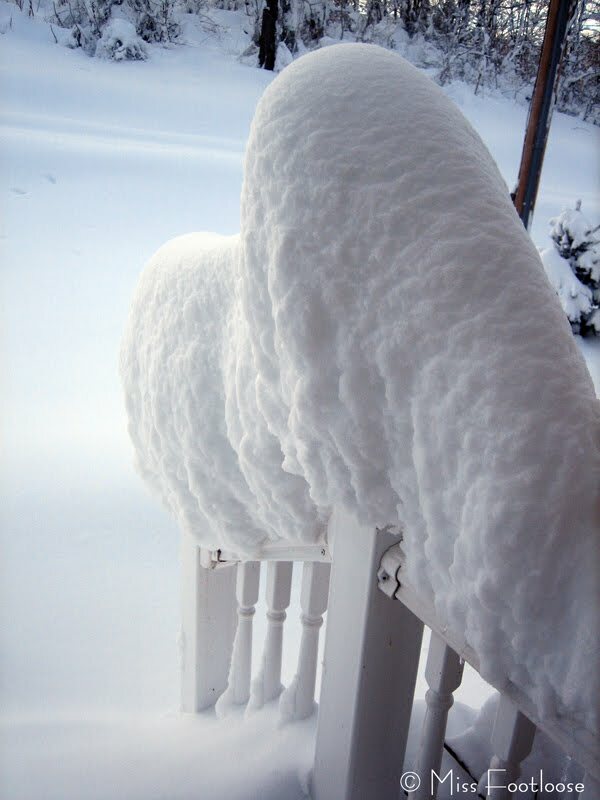 I happen to have all the ingredients on hand, except, unfortunately, celeriac, and since I’m buried in snow, I can’t go out and find it. Traditionally, the meat cooked with the peas in this soup is a low-cost cut of very fatty pork. The alternatives given in my recipe below work at least as well and aren’t quite as cholesterol-laden. In Holland, the soup is often eaten from deep soup plates and each person receives a section of the sausage and cuts it him or herself while eating. For convenience sake, I usually just slice the sausage before adding it to the soup. 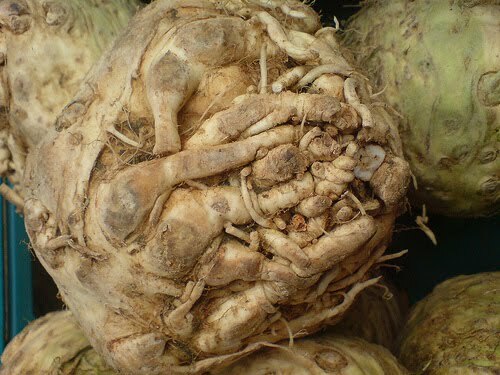 .And here a word about celeriac, also known as celery root and celery knob, an important ingredient in the soup. If you are intrigued by celeriac (and really, how can you not be?) you might want to experiment with recipes from the Seasonal Chef and Jamie Oliver, the Naked Chef. Can you please fly back to Moldova tonight and make me some Dutch split pea soup. You’d be happy to see sun light and muddy instead of snowy roads here. The soup looks amazing! But no energy and not enough ingredients to even try after a long weekend indoors (mostly) with the wee ones. I want to jump into the blog and take a slurp. 🙂 Miss you but happy to have this great blog to connect with you. Hi Jenny! Great to see you here! If you can find the split peas, you can make the soup. All the ingredients are available in Chisinau. The sausage from Pegas works okay. Now, here in NL I just buy the ready chopped veggies that you can find in the Appie. BUt I don’t think they include celeriac in that? I love snert and my mum usually makes it for me, although I can make it myself as well. I’ve been trying to find the perfect winter dessert, which proves quite a challenge really, but also quite good fun and unfortunately a very calorific journey! Look fabulous! I’ll have to gather up the ingredients and try it. Asante Sana! Wonend in Bali had ik helemaal geen heimwee naar De Hollandse Pot. Dacht ik. Tot ik op een dag langs Warung Ons scooterde en een display voor kroketten, frikandellen en bitterballen zag staan. Vanaf dat moment werd dat wekelijkse kost. Mijn Engelse vriend heeft gewoonlijk niet zo’n hoge pet op van onze keuken, maar categoriseerde dit als “excellent beerfood”. Terug in NL staat rijst weer op het tweede plan. Eerste plaats is ingenomen door een oude liefde: zelfgemaakte aardappelpuree. Helpt me door de koude, donkere dagen heen.